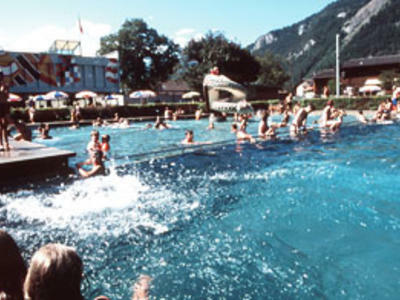 The outdoor pool in Meiringen is always a great place to relax after an exciting summer day. The water temperature is a constant 24°C. Fun is guaranteed here with the 68m long water-slide, table football, table tennis table and a 1m and 3m diving board.